Brú Ború is a cultural and heritage centre situated beside the Rock of Cashel in Cashel town. 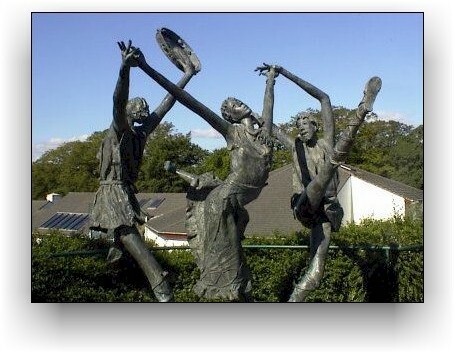 The aim of the centre is to celebrate Irish tradition, in particular it's music, song and dance. During the summer months the resident musicians and performers present an excellent show each evening from Tuesday to Saturday in the 250 seat theatre. There are also more informal music sessions each night. The centre also includes a genealogy service, a craft shop, an exhibition hall and a restaurant.